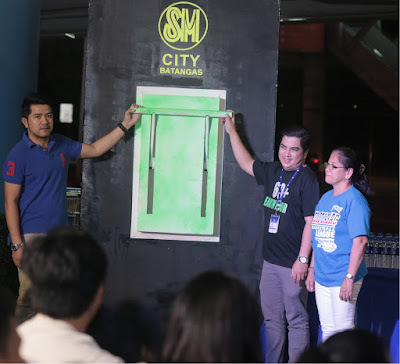 Batangas – As a commitment to properly manage environmental resources, three SM malls in this province – SM City Batangas, SM City Lipa and SM Center Lemery, celebrated Earth Hour last March 24. With the theme “Connect to Earth”, this year’s Earth Hour aims to ask for the commitment of people joining the Earth Hour to do their part in saving the environment. “It (Earth Hour) has become more than just raising awareness on climate change. 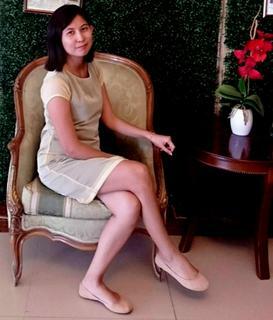 It is now time that we give our commitment to do something about our environment.” said Mr. John Mauhay, Assistant Mall Manager of SM City Lipa. SM City Lipa’s ceremonial switching off of lights was led by (from L to R) SM Building Administration Officer Richard Stephen Lat, Assistant Mall Manager John C. Mauhay Jr, City Environment and Natural Resources Officer Engr. Ric Libon and Boy Scouts of the Philippines Lipa Council Head Mr. Cesar Catapang. Batangas Council Boy Scout of the Philippines’ Mr. Hermes Cuse (center) together with SM Center Lemery Mall Manager Lyn Gabriel (right) and Leasing Manager Lariza Pagtananan during the ceremonial switch off of lights. 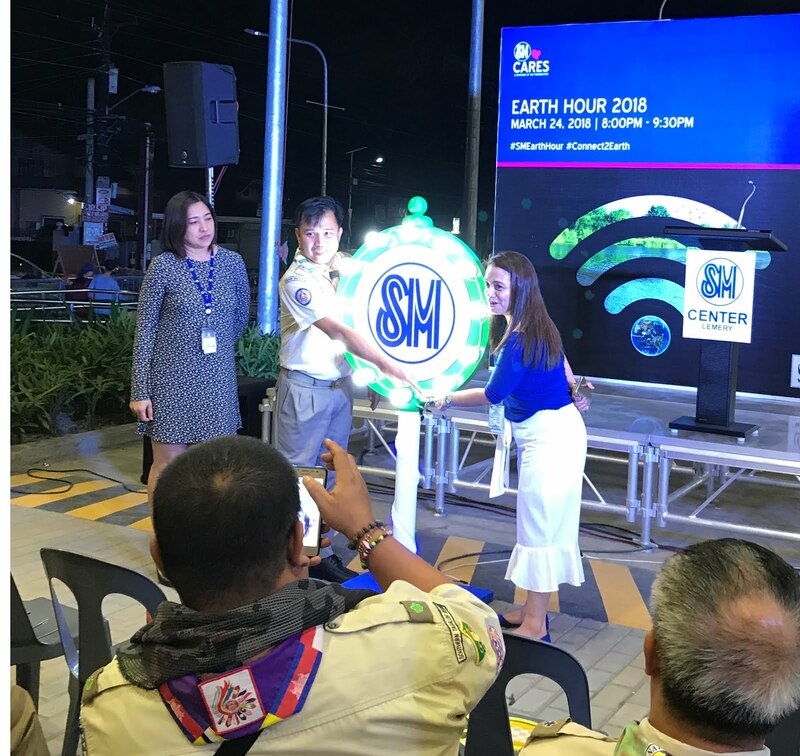 SM City Batangas Earth Hour attendees witness the signal of switching off the light by Mr. Oliver Gonzales from the City Environment and Natural Resources Office, Mr. Bernard Coronel, the Assistant Mall Manager of SM City Batangas and Ms. Lina Espina, community representative from Brgy. Gulod in Batangas City. After the ceremonial switch off of lights at exactly 8:30pm, each mall entertained the audience with performances that can be best viewed in the dark. SM City Lipa for instance staged an on-the-spot “light painting”, where husband and wife Malou and Ricky Cadavero used a phosphor-treated canvass and hand-held LED lights to create glow in the dark art. Instead of using fire, the poi dancers in SM Batangas on the other hand used LED lights as they dance and manipulate the strings, creating an instant, beautiful light show, while SM Lemery got the participation of their audience by having them to wear glow in the dark accessories and dance to some fitness rhythms.